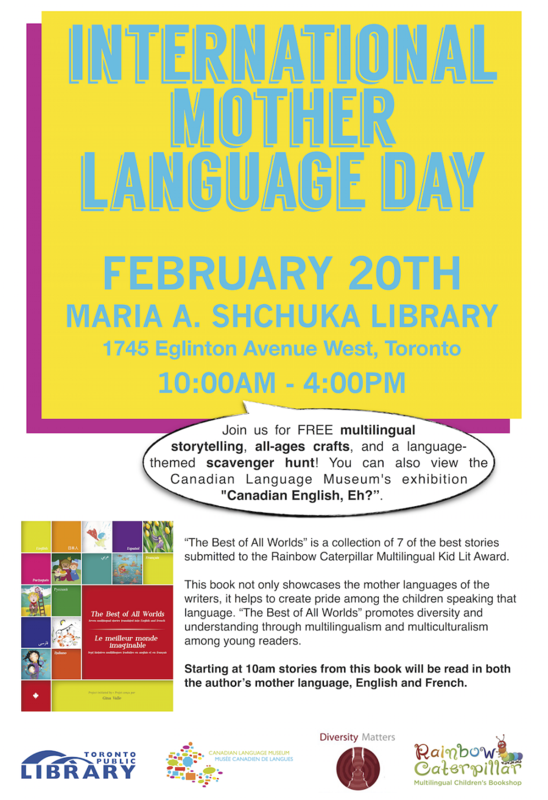 The Canadian Language Museum is once again celebrating International Mother Language Day with a day of free, family-friendly activities at the Maria A. Shchuka Library. Join us on February 20th from 10 to 4 for all-ages crafts, a language-themed scavenger hunt, and the opportunity to view our “Canadian English, Eh?” exhibition. Starting at 10am local children's authors will read from "The Best of All Worlds" - a multilingual children's storybook - in their mother language, English and French.